It all started with apples. Which may seem odd. 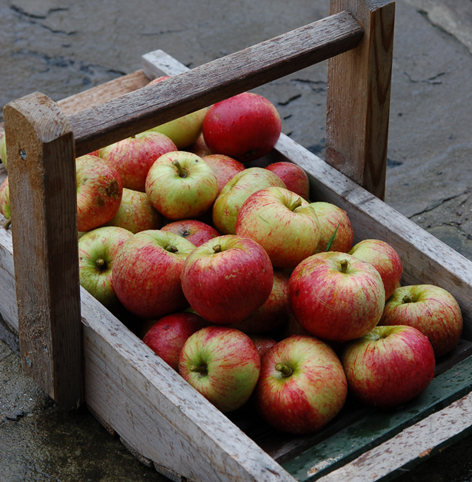 Our main apple orchard harvest occurs in mid-September and October after all. But up by the house we have a Beauty of Bath apple tree, a variety cultivated to crop very early in August, which resulted in it being awarded a Royal Horticultural Society First Class Certificate in 1887 no less. It’s Emma’s least favourite variety of our apples at The Secret Acre, because it is soft and doesn’t store, its flavour not comparing with our later season apples. But away from today’s modern supermarket era, in the Victorian era, you can see how this early apple would have been a very welcome arrival. 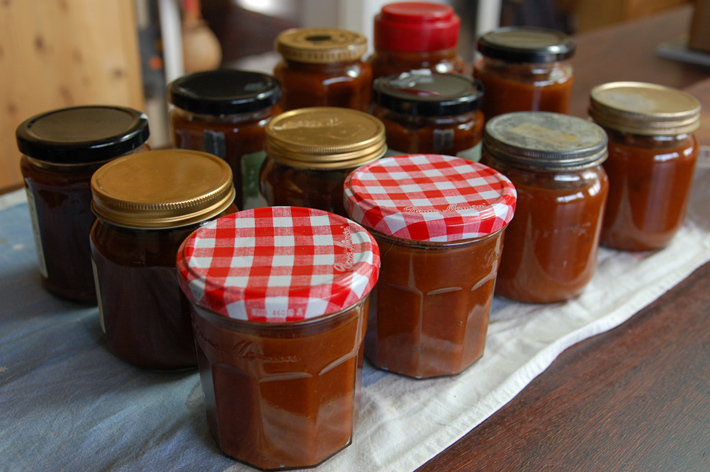 And even if, like Emma, you’re not keen on eating it straight off the tree, it doesn’t mean it goes to waste, our storeroom now filled with jars of ‘Beauty Bath Spiced Apple Chutney’ following a recipe from the ever reliable River Cottage guides. Elsewhere during August, in unrelated apple activity, we also bottled up our first ever attempt at making our own Cider Vinegar! 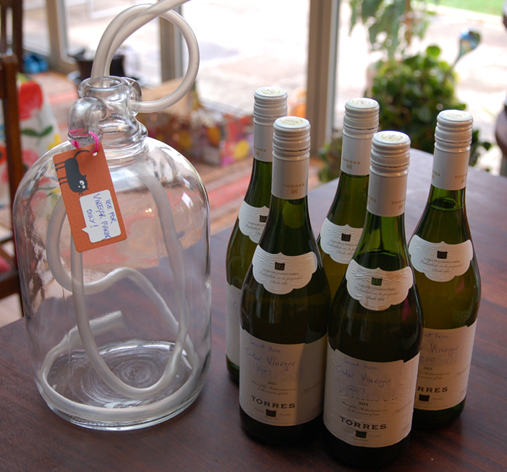 It was a hard job, but someone had to drink all that white wine so we had bottles for the cider vinegar! The final demijohn of last year’s cider had been quietly turning into vinegar in our warm solar plant room since early spring, and after a slow start using a Mother, time seems to have worked its magic successfully and we have vinegar. This entry was posted in Garden, Kitchen, Orchard and tagged apples, August, Beauty of Bath, chutney, cider, harvest, Paul Rainger, River Cottage, Smallholding, The Secret Acre, vinegar by paulrainger. Bookmark the permalink.